Thanks for the comparison. I have an Asylum Rx and I am wondering if the Paradigm represents a step up in shave quality. Any comment please? Unfortunately I cannot. I have never owned the Asylum RX. Some of the comments I have read, however, describe the razor as aggressive. Obie, that is a nice writeup/review. (01-23-2019, 04:03 PM)Johnny Wrote: Obie, that is a nice writeup/review. Johnny, my friend, thank you for the kind words. I only have the OB out of the three you mention, but for me it represents the best shave I can get when paired with a GEM blade. Unfortunately I once had three V1 razors that could take such a blade and now I’m down to none after I dropped one the other day and the others have appeared to go missing. If the Paradigm SE is better than the OB in your opinion it might be on list of razors to get if I can find one still. Thanks for this as it now has me intersted in another razor besides the OB. Obie, that is a thoughful post which I enjoyed reading. I'm glad you have found your ultimate razors. (01-23-2019, 05:32 PM)TheLegalRazor Wrote: Obie, that is a thoughful post which I enjoyed reading. I'm glad you have found your ultimate razors. Thank you, Ricardo. Indeed, I do enjoy these razors. I have been a predominantly straight razor shaver. Arthritis in my hands, however, limits my use of the straight. Of course, I have always enjoyed the safety razor, and these three, today, are the ultimate for me. Who knows about tomorrow? (01-23-2019, 04:48 PM)tsimmns Wrote: I only have the OB out of the three you mention, but for me it represents the best shave I can get when paired with a GEM blade. Unfortunately I once had three V1 razors that could take such a blade and now I’m down to none after I dropped one the other day and the others have appeared to go missing. 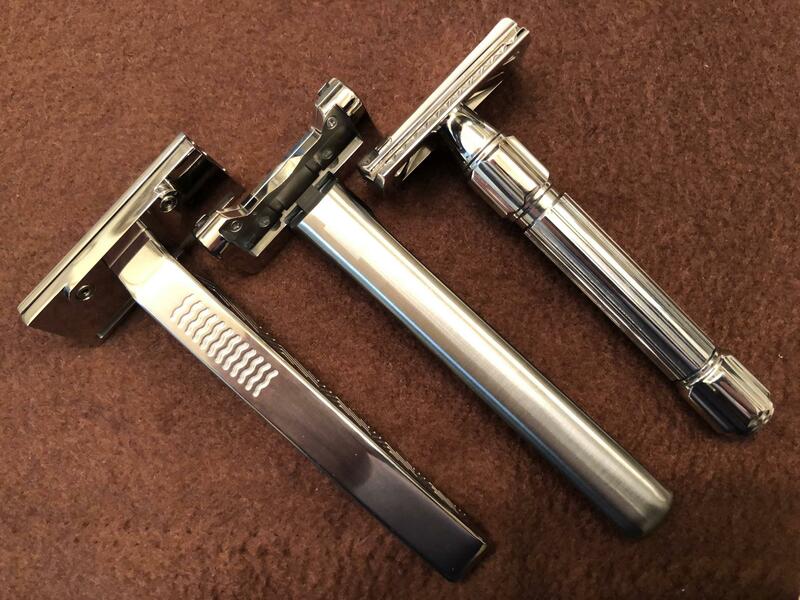 If the Paradigm SE is better than the OB in your opinion it might be on list of razors to get if I can find one still. Thanks for this as it now has me intersted in another razor besides the OB. I have the V2 and the GEM blades don't fit it. I can get two shaves out of the Feather blades, but the second shave is not all that efficient. What I have especially noticed with the OneBlade is the shave longevity. It could be my perception, but I really think my shave lasts slightly longer than that in the other razors. Yes, the OneBlade is something different — a good one.